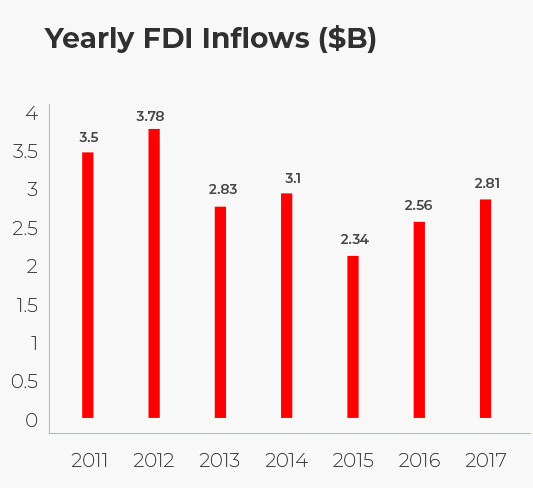 Lebanon’s GDP growth should climb to 7 or 8 percent a year by activating tourism, real estate, construction and the banking sector, a study conducted by Fransabank said. The study stressed the significance of increasing public and private investments in Lebanon’s infrastructure, especially the sectors of electricity, telecoms, roads, water and others, in order to stimulate further economic growth. The economy and Lebanon’s construction sector in specific is expected to see a major boost following the CEDRE donor conference which has resulted in $11.8 billion in pledges of financial assistance, out of which $11 billion are in soft loans. There were 51 countries represented at the conference in addition to international donor institutions. The government requested funding for the first two phases of the Capital Investment Program (CIP) that is divided into three phases, each with a four-year schedule. The CIP includes 250 infrastructure projects worth $17 billion. Around 30 percent of the investments will be earmarked for the transportation sector while water and sewage projects will get another 30 percent. Nearly 20 percent will be allocated to the electricity sector with the remaining 20 percent to be invested in other infrastructure and development projects. The European Bank for Reconstruction and Development also intends to invest at least $200 million in Lebanese equities, renewable energy and water resources in 2019. 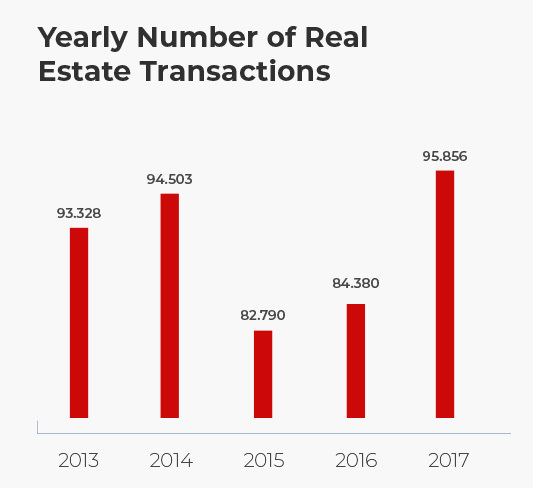 The Lebanese real estate market recorded a 14.49% higher number of transactions amounting to 95,856, with a higher total value of transactions, reaching $10.15B, in 2017, compared to $8.53B, in 2016. This led to the average value of a real estate transaction rising from $101,142 to $107,062. The Construction area Authorized by Permit (CAP) increased by 15.44% to 11.81 million sqm in 2017. Mount Lebanon appeared as the top location for new constructions in 2017 capturing 35.2% of total activity in terms of projects number.